Our two residential homes, The Grange and Lyndhurst, are situated in the beautiful village of Goring-on-Thames. 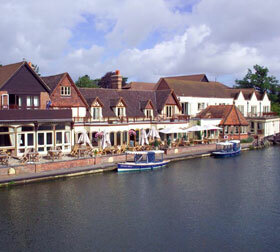 Goring is a small attractive village in Oxfordshire yet only a twenty five minute drive to Reading town centre. It is in an area of outstanding natural beauty sitting between the Chilterns and the Berkshire downs in the stretch of the river Thames known as the Goring Gap. 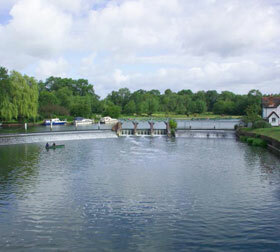 Goring recently won the Oxfordshire village of the year award for 2009. The village has many local businesses, including several banks, hair salons, pubs and restaurants. It boasts its own village green situated just behind the high street, with bowls and cricket games throughout the month. There are many activities to do in the village including several picturesque walks and the living rain forest for all the family. With the choice of three pubs there is always a place to eat if you wish to dine outside The Grange or Lyndhurst, with or without the family. Goring Care Homes are committed to sustaining the local community and try to purchase as much home grown local produce as possible. 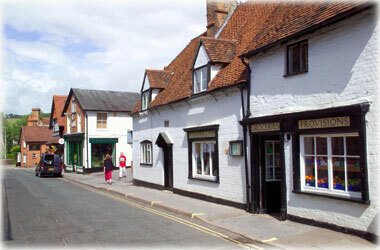 The village is served by Goring Doctors Surgery and The Boat House Dental Surgery. Three different Churches are situated in Goring, Several hold coffee mornings throughout the week and other such activities as flower arranging as well as painting. Other activities in the village are published in Goring’s own monthly magazine, the Goring Gap, which covers local news and events. If you would like to plan a journey to Goring, please visit the contact page for directions. Postal addresses for our care homes can be found on the page for The Grange residential home and the page for the Lyndhurst residential home.